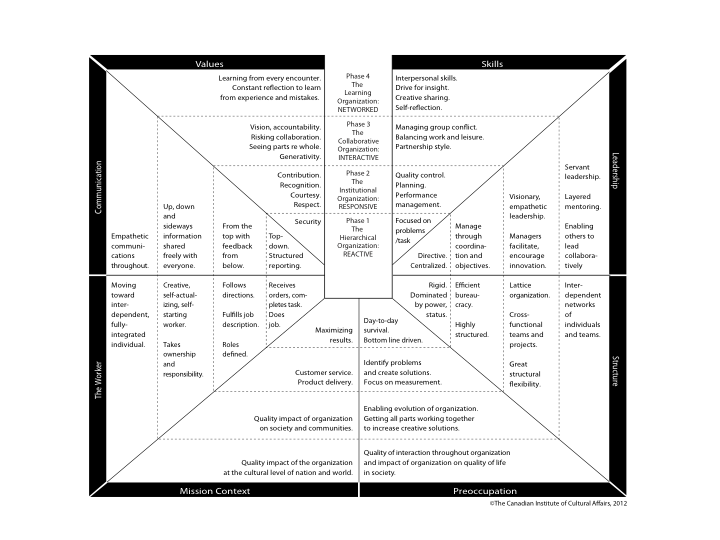 This tool empowers people in an organization by providing a concrete map for the evolution over time of eight important aspects of the organization. It provides a diagnostic of the transformation that is desired as well as a strategic launch of the necessary changes. 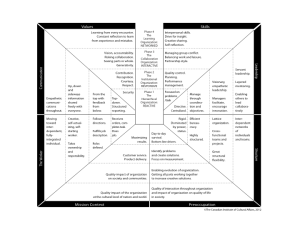 It takes a group half to a full day to create their own map by using the Organizational Journey Map as a template for change.